Special 7 Night Cuba Sailing Offer! $1,999/pp ~ Cabin with Balcony! What's included in your cruise fare to Cuba? Just about everything. Meals, daytime excursions and activities, a comfortable cabin with all the amenities of a modern hotel, plus the luxury of having to unpack only once. Our itinerary was designed for ease of travel; between cities you will enjoy immersive and relaxing on-board activities like dancing lessons, an authentic Cuban cocktail class, or simply unwinding by the pool. 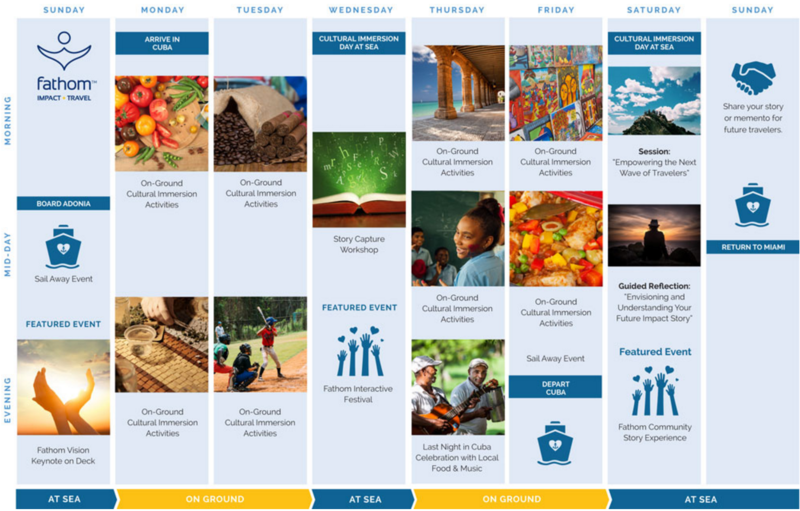 For your time on the island, we’ve created a thoughtful cultural exchange experience that gives you and your fellow travelers the rare opportunity to learn more about the everyday lives of the Cuban people and their remarkable culture. You’ll have the opportunity to interact with the artists, musicians, business owners, and families who make up the fabric of Cuban society. As you engage with the Cuban people, you’ll also experience the sights and sounds of their beautiful country: the Spanish and French colonial architecture, classic American cars, traditional Cuban music and dance, the coastal fortresses and tall cathedrals, and the cannons on San Juan Hill,. Every night, you’ll return to the comforts of the MV Adonia, where are all the details of getting from location to location in Cuba are taken care of. Enjoy the sights, the sounds, tastes and rhythms of everyday life and relax knowing that virtually all the costs, including meals, lodging, and daytime shore excursions, are already planned for you and covered in the price of your journey.